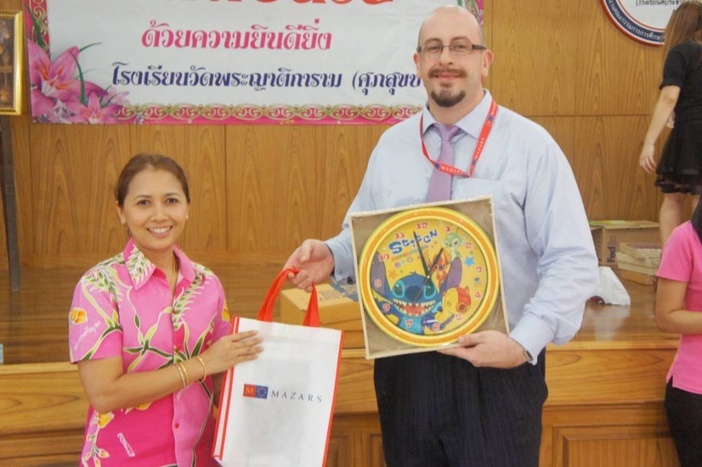 On 21st June 2013, Mazars in Thailand visited Wat Prayathikaram School in Ayutthaya which had been affected by the devastating floods in 2011. 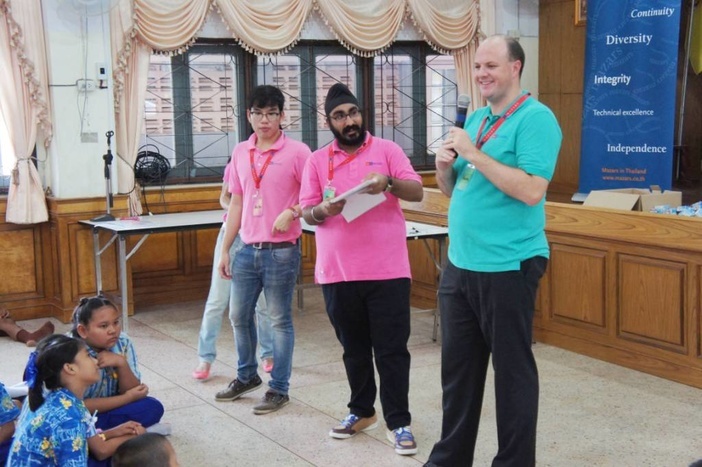 A school visit in Ayutthaya was a great opportunity to reach out to the community and to teach young children how to prepare and respond in disaster situations with simple games that create a greater awareness. 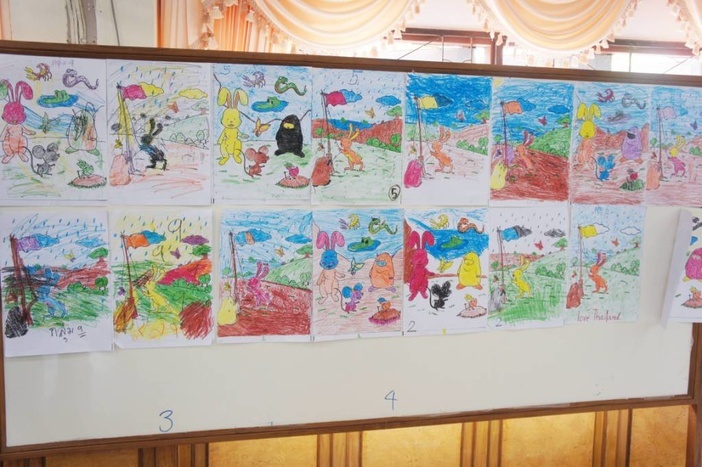 Mazars also distributed the “Alert Little Mole” books published by Save the Children, U.S. AID and the American Chamber of Commerce in Thailand (AMCHAM) along with a small box of crayons to more than 100 students. 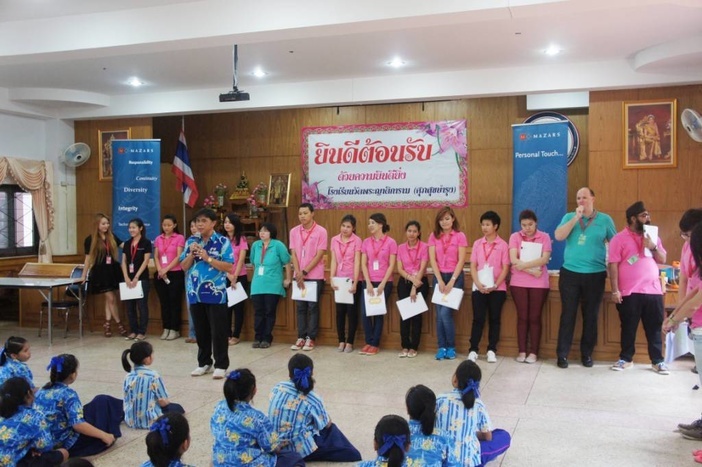 These books focus on disaster risk reduction education and had been developed by Accounting Director Jonathan Fryer, Co-Chair of the AMCHAM Community Engagement Committee. Jonathan working with AMCHAM and Save the Children prepared the book from initial concept through to publication. 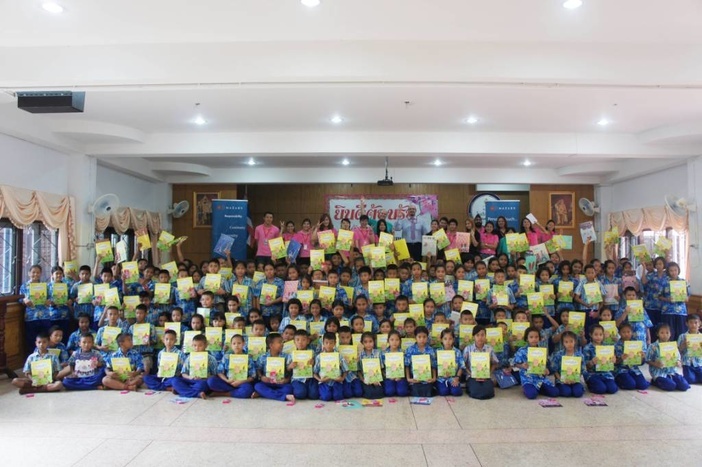 6,000 books have been printed and distributed to Thai primary schools through Save the Children, AMCHAM member companies and the Ministry of Education. The feedback was positive and both the Mazars staff and pupils of Wat Prayathikaram School had a great day.